The boys have been confined since a number of inmates gained access to the roof of the building. TWO 17-YEAR-olds have been held in solitary confinement at Oberstown youth detention centre since a roof-top demonstration at the correction facility almost two weeks ago, the High Court heard today. Patrick McGrath SC, counsel for both boys, told Justice Anthony Barr that they had undergone strip searches by members of the gardaí and had been confined day and night since a number of inmates had gained access to the roof of the building. McGrath, who appeared with barrister Eoin Lawlor, said the boys had been confined alone in separate cells and were refused access to visits with their families. “They don’t know what is going on or for how long this regime is going to last,” McGrath said. Matthew Kenny, of O’Sullivan Kenny Solicitors who represent both boys, stated in an affidavit to the court that they were not allowed to associate with other children. On 4 September one of the boys had been brought in handcuffs to cell where the handcuffs had been removed through a hatch in the cell door. McGrath told Judge Barr that on 6 September one of the boys had been allowed a visit by his solicitor, Mr Kenny, and had been allowed to take a phone call with his mother. He had since been locked alone in his room. “On 9 September one of the boys was visited by three male gardaí with a search warrant and told to strip and squat while they carried out a strip search,” McGrath said. He said the boys had not been offered any explanation by the Oberstown authorities why they were being held in solitary confinement. McGrath told the court the boys were receiving inhuman and degrading treatment in breach of Oberstown’s own regulations for dealing with children and were suffering an egregious breach of their rights to association with their families. Judge Barr said he was satisfied McGrath had set out sufficient information to enable the court to conclude he had a reasonably arguable case that there were breaches of the children’s rights. He said it was appropriate the matter was addressed as early as possible and the court grants the applicants leave to serve short notice of judicial review proceedings on the Minister for Justice and the Oberstown authorities. He returned the proceedings until next Thursday with leave to the respondents to apply to the court in the meantime. Email “Oberstown teens strip-searched and held in solitary confinement for almost two weeks”. 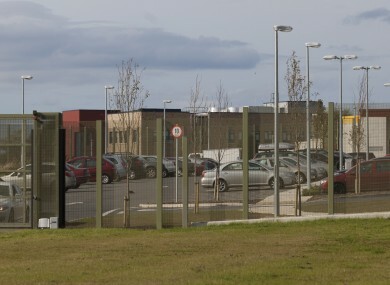 Feedback on “Oberstown teens strip-searched and held in solitary confinement for almost two weeks”.